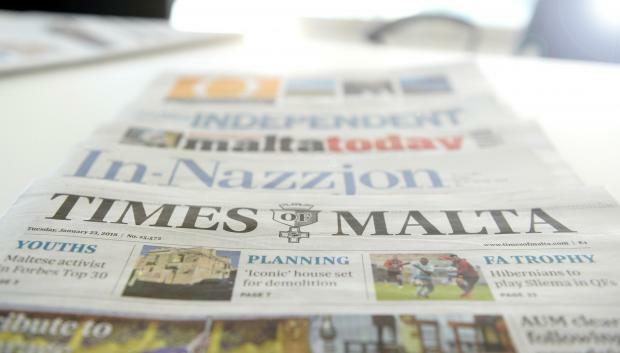 The Times of Malta main story deals with the government considering whether to give data on votes to the political parties. It also reports on a cancer vaccine and doubts over its use. In-Nazzjon features the calls for the direct orders given at St Vincent de Paul residence for the elderly to be investigated, made by Opposition Leader Adrian Delia on Sunday. The Malta Independent reports on the fact that the NGO rescue vessel Sea Watch 3 is being held in Catania, and also reassured that there is no danger to people from 5G networks. L-Orizzont features the main message given by Prime Minister Joseph Muscat on Sunday, in which he lambasted the Opposition for its outdated approach, and also carries a report by a woman who calls for more empathy for her son with epilepsy - and for others with disabilities.